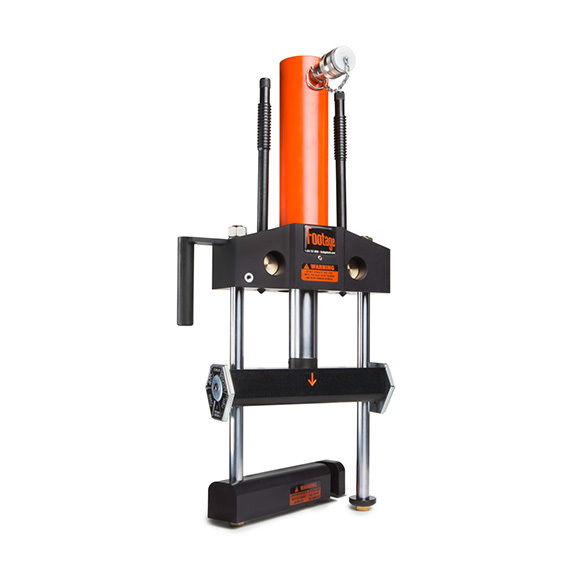 The model C177 Hydraulic Squeeze Off Tool is designed to squeeze 1 ” to 4 ” MDPE and HDPE pipe safely and effectively. The C177 features 6-sided, positive locking, indexable gauge plates, aircraft grade aluminum squeeze bars, and an easy access hydraulic connector for when the tool is in the pit. The unique lock-in / swing-out bottom bar design allows for quick and easy access to the pipe, even in confined spaces, and the lock down bolts ensure that a squeeze is maintained even if the hydraulics are disconnected. The C177 also offers an optional grounding spike and custom gauge plates are available upon request.